If people like beer, and people like cultural events, then people must like beer to go along with their enjoyment of cultural events. So goes the transitive reasoning of the Kenney administration, which announced Wednesday that it will combine its two festive city initiatives for a pair of free-admission dates in August and September. 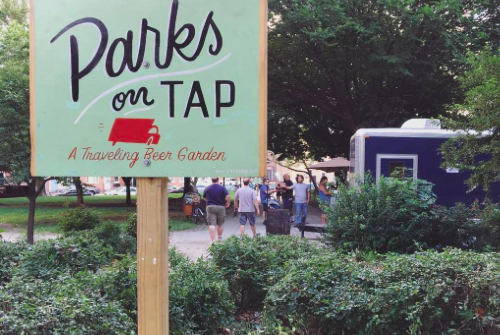 On Thursday, the City Hall courtyard will host an event that joins Parks on Tap — a beer garden series sponsored by Parks & Recreation, the Fairmount Park Conservancy and FCM Hospitality — with a special edition of Culture in the Courtyard, a performance program that shines a light on Philadelphia's local talent. Thursday's event, running from 5:30-6:30 p.m., will feature PHL Live Center Stage winners JAH People as they bring "reggae-fied" funk, rock and soul songs to the courtyard. A second, pop-themed event on Tuesday, September 20 will be led by Brotherly Love, a group comprised of members from the Philadelphia Gay Men's Chorus. Culture in the Courtyard is produced by Philadelphia's Office of Arts, Culture and the Creative Economy. Remaining summer and fall calendars for Parks on Tap and Culture in the Courtyard can be found here and here.